Add all the ingredients in a cooker along with a cup of water and condense for 10 mins,till the mutton becomes a tender. You can put all the whole masalas in a muslin cloth,tie it like a potli and drop it in the cooker as well. If you dint make a potli,try and handpick the whole masala as its hard to grind them with mutton. You can discard the garam masala. Also dry out all the water. Grind the mutton a bit for around a minute in a blender. 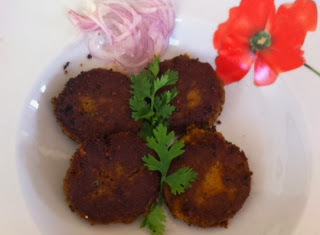 Later add haramasala(coriander leaves,mint leaves,green chillies) along with garam masala powder,cardamom powder and lemon juice. Grind the mutton till you can blend them to form threads like consistency. 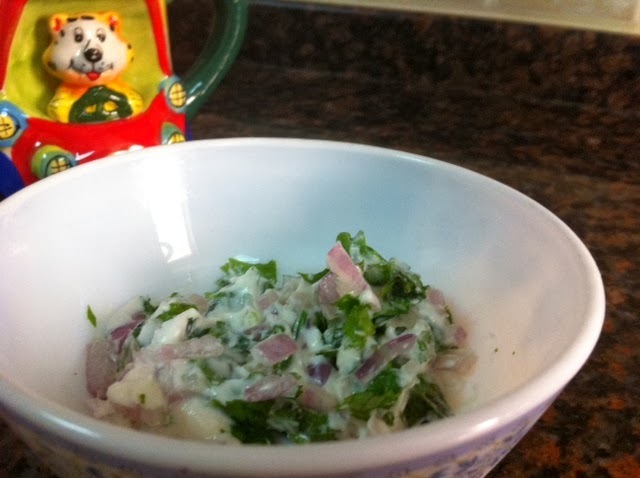 3.Few coriander and mint leaves. 1.Properly mix up the ingredients for stuffing. 2.Grease your hands with some desi ghee or oil. 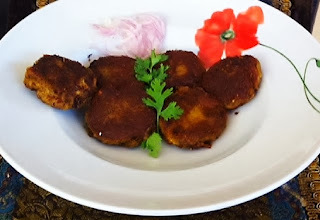 3.Now take some mutton mixture and make flat patties,stuff the mixture in the middle and close the pattie from all the sides carefully. 4.Shape the mixture in small circular shapes. Your shikampur kababs are ready to fry. 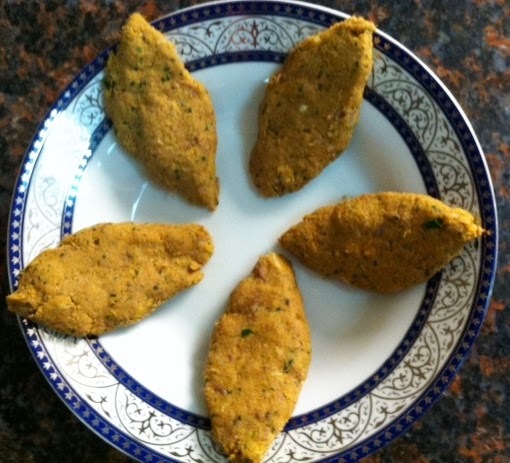 5.If you are making shami kabab, don't stuff them with the filling ,just shape into diamond shapes. TIPS:You can freeze this mixture and use whenever you wish for upto a month. I have ben trying to make them and got 80% success as the last time I tried they did not disintegrated during frying. My mother also adds Khopra, til and mong phally. Thanks for this post, as shami is one my all time favorite. I tried to make it, but it took too long to grind the meat, though I had cooked the meat to tender. When I tried too much, the mixture became paste, not threaded. So, which jar and blade I should use for grinding? And what are the other thing, I have to take care for? Made it yesterday it's very tasty. If I am deep frying these, how much should be the heat to ensure the kababs dont break apart?